Update 2: For more context on this incident, be sure to listen to the Sept. 25 edition of the OnEducation Podcast (‘Unsecured Networks, Punished Students‘) where this story is discussed. Update 3: On October 1, the Rochester Community Schools provided a public update and FAQ [PDF] on the incidents described in this post. Update 5: On October 13, the Associated Press (AP) syndicated a story (“Michigan Student Hacker Shows Holes in District’s System“), which appeared in news outlets nationwide. 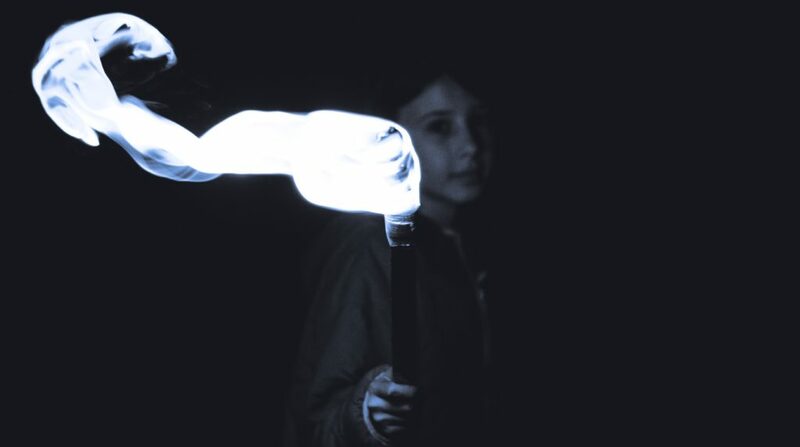 Like moths to a flame, curious and tech-savvy students have always pushed the limits of what educators deem ‘acceptable use’ of school technology. This is in no way a new phenomenon. We provide them with access to powerful general purpose computing devices, access to the internet, and time–and at younger and younger ages. They explore, tinker, make, express themselves, push back, pursue their interests, and act out. What’s different in recent years is that in doing the unexpected with school technology, students can affect not just their own education, not just the education of their classmates, but the operations of entire school districts (and even far beyond). Schools and edtech vendors take (some) steps to secure their systems and limit student access to the more powerful administrative features of school technology devices and systems, but time and again and again students demonstrate their ability to circumvent these controls. When students break school rules related to the acceptable use of school technology, they are subject to being disciplined. For some, it results in a slap on the wrist, coupled with a redirection of youthful energies (for instance, to computer science courses or to assisting the school IT department in providing training or technical support). Many an IT professional’s career has been spurred by such actions. For others, it results in expulsion from school and a federal criminal record. For those students who are caught (not all are), there appears to be little consistency across schools in how these disciplinary policies are applied. Coupled with the pervasive and often automated collection of data on students, families, and school staff, school technology is uniquely powerful and sensitive. What was once stored in locked file cabinets in an administrator’s office–if it was even feasible to collect at all–is now stored on a computer network designed to enable broad internal and external access. With the choice to deploy digital records and communication systems should come responsibility for security and consequences for poor or negligent practices. And while some can be quick to excuse schools’ actions as they aspire to modernize (getting by on a shoestring budget, biased toward deploying free-of-cost technology, often with understaffed/underskilled IT departments), we would do well to remember that districts are also big business, overseen by elected/appointed representatives, and charged with managing annual budgets of tens or even hundreds of millions a year. Digital security is a leadership issue. To wit: when 12 year-olds can breach the IT systems of organizations with $100 million+ budgets, how should we assign blame? Penalties and disciplinary actions for students who violate acceptable use policies are established, but what of the consequences to school districts. At what point could district leadership be considered negligent? What obligation do schools have to be forthright with their communities about their digital security shortcomings? How might schools react differently to these incidents, in ways that are more proactive and even humane? These are hard questions, no doubt, but given the frequency of ‘students hacking their schools’ incidents, I believe it is time we more forthrightly address this complicated issue. The Rochester Community School District–with an annual operating budget of $160 million–employs more than 1,500 staff members at more than 20 ‘nationally recognized, award-winning’ schools. External accounts of the district suggest many things going well. While technology upgrades have been a focus of the district (like in many other districts across the nation), the district is not high-tech relative to others across the country (e.g., while the district provides laptops to all teachers and makes computers on carts available to classrooms, the district does not support a 1:1 program). 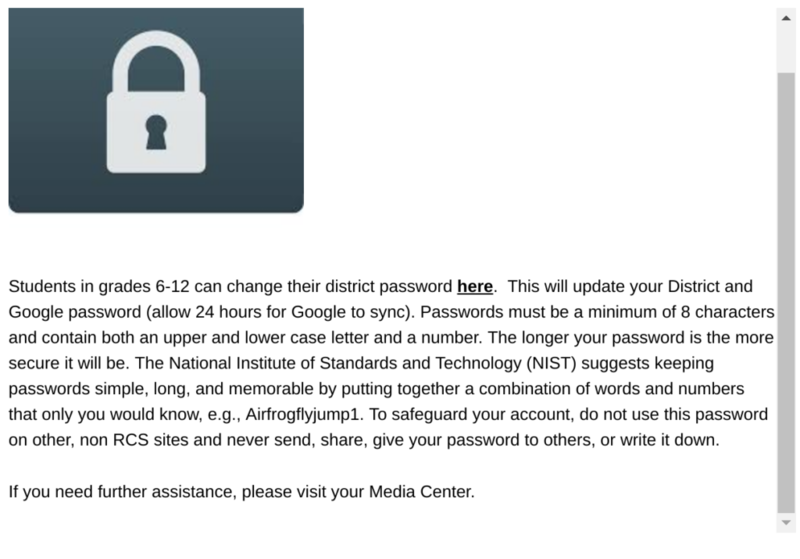 In June of this year, I was alerted to a heretofore undisclosed ‘student hacking’ incident in the district by a parent I will call Mrs. Jones. Her son, whom I will call Joseph Jones, was in the midst of computer-related disciplinary hearings and she was seeking information and help. (Note: I have changed the names of the individuals involved to protect their privacy). An internet search brought her to the K-12 Cybersecurity Resource Center and to me. I have spoken to her lawyer, and to her and her son on multiple occasions and at great length. This is a story they have approved and want to tell, even as it has not been completely resolved. Three years ago, when Joseph Jones was 12 years-old and a 7th grader in middle school he and another school friend stumbled upon a permissions issue on a computer in the school library intended for student use. A simple glance at the directory structure of this public computer revealed that it was logged into an account with access to several shared folders. Within those shared folders was the real surprise: in one was a file that listed all student usernames and passwords in an Excel document in clear text; in another, was an application that provided the ability to change usernames and passwords for any person–student or staff–in the district without restrictions. To make matters more concerning, the username and password for the account running on that public computer was written on a note taped to the side of the screen for all to access and use. (Joseph reports that this was a common practice in the schools he attended in the district.) Joseph and his friend soon figured out that this account was accessible not only on the public computer in the school library, but at any computer within the district network, including over the internet via a remote access application provided by the district (MyRCS) for student, parent, and staff use. This discovery was not an act of malicious or even sophisticated hacking, but the act of two curious boys with above average technology skills. However, instead of coming forward at that point, the boys kept the secret (mostly) to themselves and–like moths to a flame–over the following three years gingerly explored the district’s internal IT systems, always keeping a low profile but still expecting to get caught at some point by district IT security. And, on May 18 of this year, get caught they did. When approached by school administrators, they came clean, including turning over their personal computing devices to law enforcement. Joseph was expelled, and he still faces the risk of criminal charges, which the district is actively pursuing. 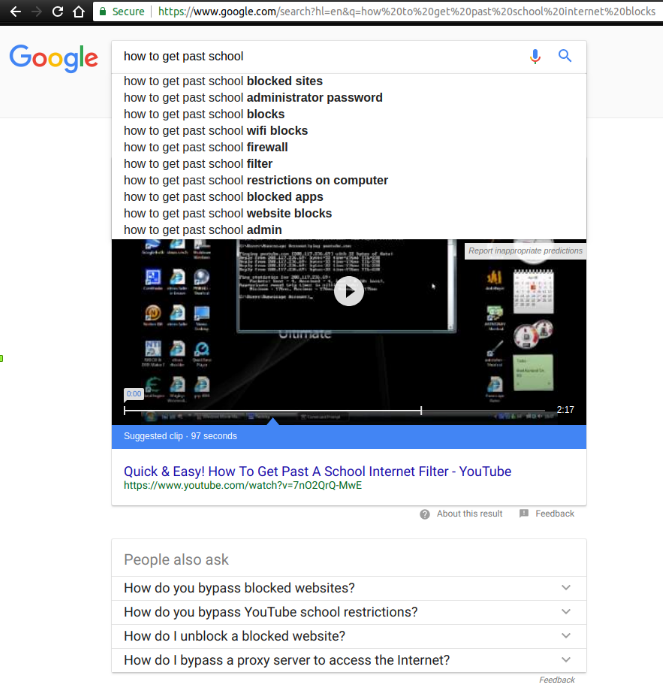 The final straw for Joseph’s exploits–and what likely indirectly led to his questioning by school administrators who were tipped off by another unnamed student–was the sharing of a technique to bypass the school’s internet filters. One friend told another and like wildfire soon too many students were visiting supposedly blocked websites for school staff to miss. While students across the country avail themselves of a variety of techniques to circumvent network filtering, Joseph’s technique involved using the still active but unmonitored account of a retired teacher who had not been employed by the district for several years. It turns out that teacher accounts are not subject to the same internet filtering as student accounts. There have been no allegations of grade changing, online harassment, deleted/manipulated student or personnel files, denial-of-service attacks, or defacement of school website properties. Joseph had no other record of disciplinary issues with his schools. Whether Joseph and his friend were the only people to exploit the district’s security practices is unknown, but one thing is clear: a truly malicious actor could have caused irreparable damage. That Joseph broke school policy and would be disciplined–even harshly–was never really in contention. Joseph admitted he knew that he’d likely end up suspended or expelled for his actions. The Jones family maintains that the district has been excessively adversarial in its dealing with Joseph. The district has aggressively pursued expulsion–they denied the Jones’ the option of withdrawing Joseph from school–and he expects to face still-pending criminal charges. Being an impartial outsider to this situation, I can’t help but see this story as emblematic of the complexity surrounding the larger issue of ‘students hacking their schools.’ Indeed, it is among the tamer of the dozens of such incidents I have documented since 2016. 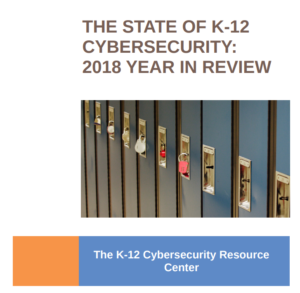 Stories like this one will continue to occur in districts across the country if and until the issue of K-12 cybersecurity risk management commands more attention and resources from district leaders. Schools and their vendors must become more intentional in designing their systems for use by students who may not always behave in ways that are expected. And, ultimately school leaders and vendors should be held to account for not ensuring a minimum baseline of security controls. On its face, it seems hard to argue that any $100 million + enterprise has in place adequate security controls when a couple of 12 year-olds can bypass them and trivially so. When a student does cross the line, schools should consider long and hard whether the most appropriate response is to expel the student and criminalize that behavior versus viewing it as a unique teaching moment and a chance to shore up internal security practices. (Many organizations, in fact, pay good money for penetration testing services and/or offer bug bounties as part of their security compliance programs). Given the emphasis on STEM careers and the importance of computer science for the broader economy, it would seem that we’d want to embrace and channel the energies of those who show an interest and facility in computer operations…even when it may be in unanticipated ways. I don’t think there are easy answers, but I am certain that this story is far from unique. My hope in sharing it is to kick start a movement to find a common sense middle ground that leads to better school cybersecurity practices while at the same time celebrating–yes, celebrating!–student ingenuity with and interest in computers. It is my sincere hope that this isn’t too much to ask.